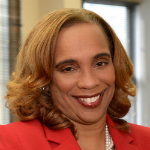 Leslie Anderson leads the New Jersey Redevelopment Authority, a multi-million dollar independent financing authority created by the state of New Jersey to transform urban communities through direct investment and technical support. Under her leadership, the NJRA has used its financial resources to leverage more than $3.8 billion in new investments and has committed $418 million in direct investments within the eligible communities. In 2006, Ms. Anderson created the NJRA Redevelopment Training Institute (RTI) to provide learning opportunities centered on the complexities of redevelopment and best practices for community revitalization. Since its inception, RTI has trained more than 2,000 attorneys, elected officials, developers, and nonprofits.